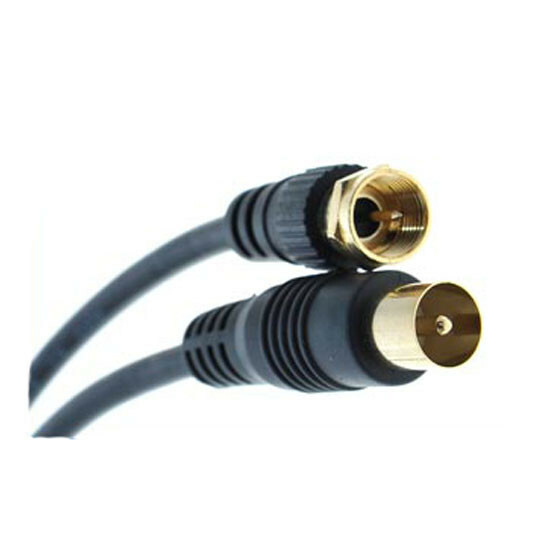 This PAL to F-Type connector TV antenna flylead is intended for connecting your TV to Set Top Box, antenna wall point etc. This PAL male to F-Type Antenna flylead is guaranteed to offer the best picture and sound quality for your equipment. All of our cables come with a LIFETIME warranty and money back guarantee. If you are not 100% satisfied with this item simply send it back to us for a full refund. This cable is also available in other lengths. Just click TV Antenna Cables on our navigation panel to the left.